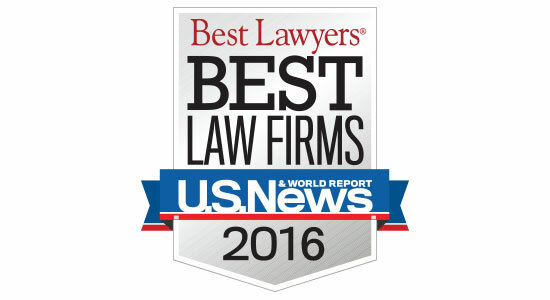 According to U.S. News and Best Lawyers, achieving a high ranking "…signals a unique combination of quality law practice and breadth of legal expertise." Ranked firms, presented in tiers, are listed on a national and/or metropolitan scale. Receiving a tier designation reflects the high level of respect a firm has earned among other leading lawyers and clients in the same communities and the same practice areas.